British American Tobacco (BAT) are one of the world’s leading tobacco companies. Johnson Controls run the site facilities for the British American Tobacco site in Southampton and are one of the leading facilities management companies in the UK. 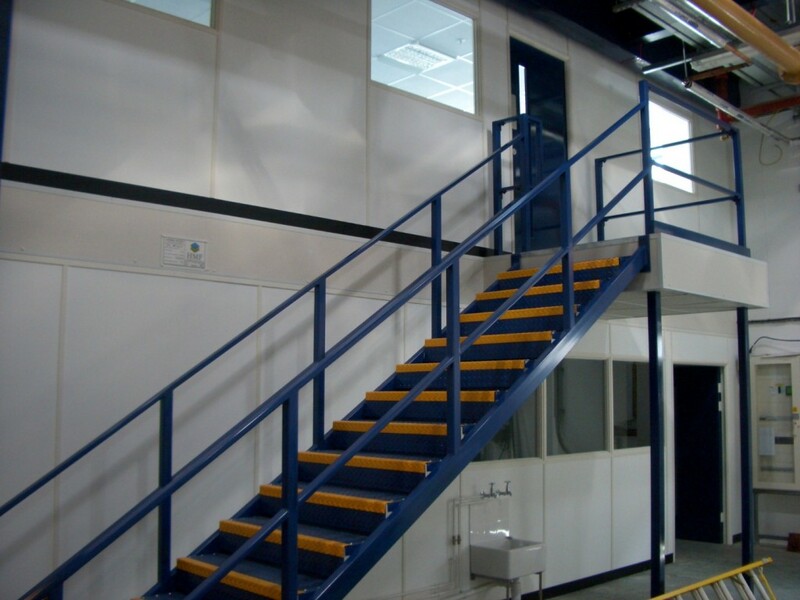 Johnson Controls contacted HMF, asking them to design a mezzanine refurbishment. 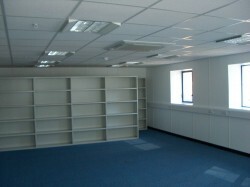 BAT had an existing plant room area that was identified as a possible conversion to a 2 storey office and workshop facilities. 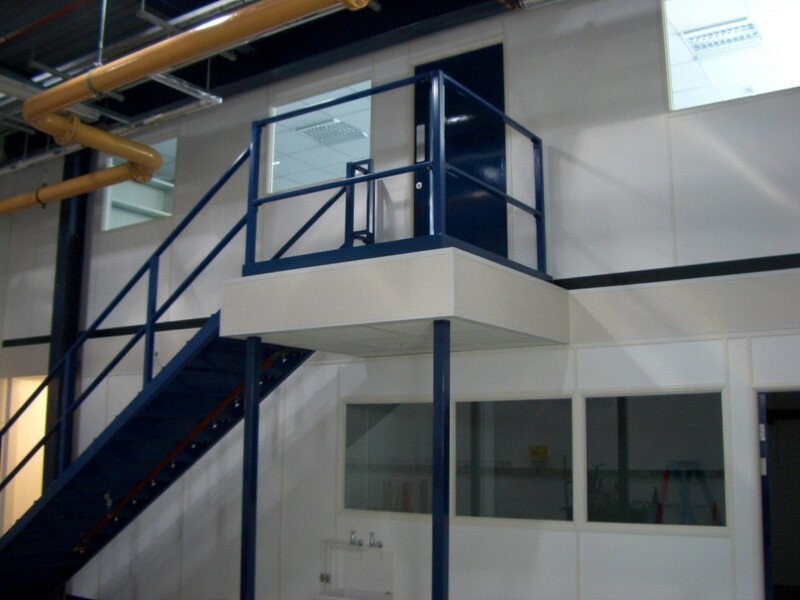 HMF provided a design, which incorporated a slim-line mezzanine floor due to the restricted headroom available within the area. This mezzanine floor was fire protected with sprinklers that HMF designed to run through the physical steelwork of the mezzanine floor to again maximise the available space. Natural daylight was brought into the building by diamond cutting apertures in the concrete roof and fitting natural daylight sun tubes 350mm in diameter, which brought good natural light into the workshop. HMF then cut apertures in the existing walls of the building through concrete block-work and cladding and then fitted supporting steelwork to accept new external powder coated aluminium windows. 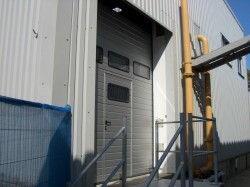 The existing roller shutter door was upgraded to an insulated sectional door complete with ultra low profile threshold where a wicker door was incorporated for improved access & windows were supplied in the sectional door to enhance the natural daylight within the workshop. The building insulation was also upgraded by the addition of cavity wall insulation throughout the building. Lighting was provided with T5 high efficiency lighting. HMF fitted new foul drains complete with manholes linking into the existing foul drainage system & then built a new toilet & waste facility in a ground floor changing room area. The partitioning and ceiling that was provided by HMF to form all of the offices and the workshop were steel stud glazed de-mountable partitions allowing future flexibility of area usage. The programme was a 16-week build, which was completed on programme and the installation has given BAT & Johnson Controls the benefit of a significant amount of additional space that has been reclaimed from this redundant plant room area. The facilities are both functional and aesthetically pleasing creating a pleasant working environment.